The HMS library would like to thank everyone that entered our Teen Read Week contest to decorate a pumpkin. 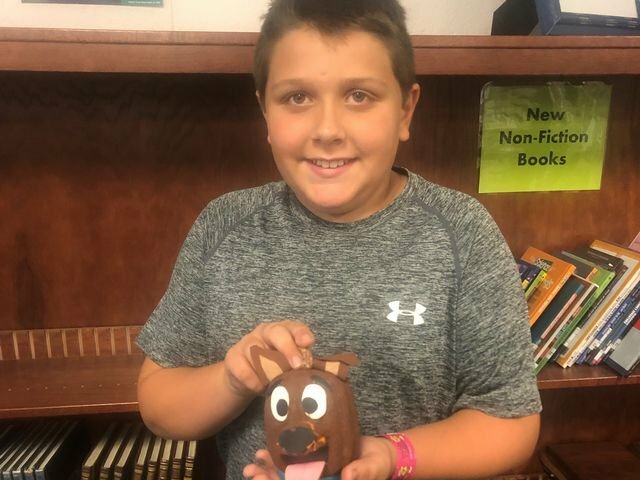 The winner of the "Decorate a Pumpkin Like a Book" contest was Conner Fair with his Scooby Doo pumpkin from the book by Gail Herman. In total, our pumpkin contest raised $161.13 to be used to purchase new books in our library. Conner will receive a $10.00 gift card to the store of his choice for his prize.